Friday, Jan 11, 2019, 12 – 1 p.m.
SBIR and STTR federal funding programs provide more than $2.5 billion in grants and contracts each year to small businesses and startups to develop new products and services based on advanced technologies. SBIR Phase I awards start at $150,000 and Phase II awards start at $1 million and can increase to as much as $2 million. The unique feature of the STTR program is the requirement for the small business to formally collaborate with a research institution in Phase I and Phase II. Though the benefits of each program can be transformational for either startups or researchers on the path to commercialization, the application process can be difficult without help. 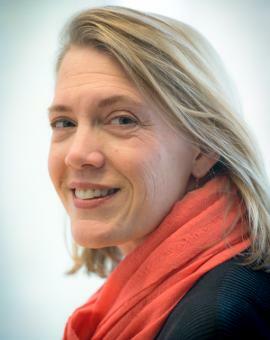 Dr. Jeanette Ennis is Associate Director of Innovation Investments at UW CoMotion. Her work is focused on helping researchers pursue grant funding to commercialize their innovations. She has over 15 years’ experience as a research scientist, entrepreneur, and manager. Her areas of expertise include pharmacology, biochemistry, molecular biology, tissue engineering, and medical devices. Jeanette holds a technical writing certificate from UW and a PhD in medical and molecular pharmacology from the University of California, Los Angeles. Read more about Jeanette Ennis on LinkedIn. Fundamentals for Startups is a free, weekly one-hour lecture series featuring notable experts who share startup-related information, experience, and insights with our entrepreneurial community. From raising capital to scaling to exit strategies, these seasoned guest speakers deliver valuable content designed to help startups and entrepreneurs thrive. Lectures are typically 30-40 mins, followed by open Q&A. Light refreshments will be served. These lectures are open to the public and you do not have to be currently affiliated with the UW or a startup to join. We hope to see you there!